This weekend has been a weekend full of celebrating! Friday night, while my boys and hubby went camping, I went to my best friend Rhonda's house and stayed the night. 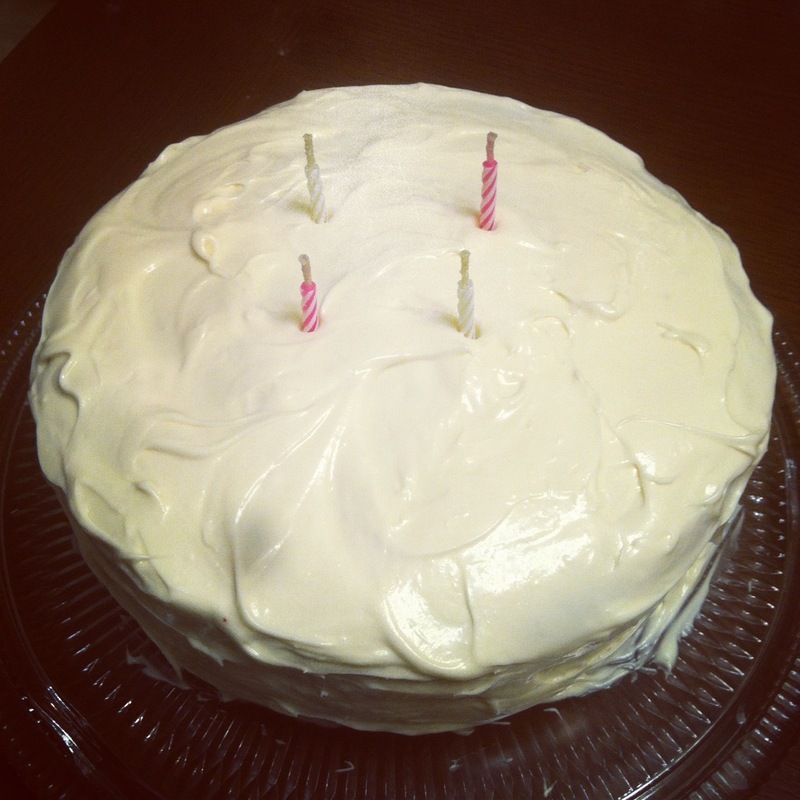 She cooked me a birthday dinner and baked me my favorite cake....red velvet with cream cheese icing! Yum! Then last night my sisters came into town and we went to dinner to celebrate my birthday (which isn't until Thursday November 1st) and my sister Christy's birthday which was this past Thursday. It's been fun! Right now it is time for another runner spotlight! If you are interested in being spotlighted on my blog please send me an email at mindy@roadrunnergirl.com! Today I am spotlighting Jill from Fitness, Health, and Happiness! 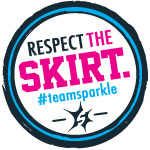 She is a fellow FitFluential, SweatPink, and GirlsGoneSporty Ambassador and is an inspiration to so many! I'm excited for you to learn more about her! When and why did you start running? I started running in 2006 simply (so I thought) because I had no reason not to. My husband ran his first marathon and when we went to the expo we met Dean Karnazes. It was a small race and the expo was not too busy so Dean kindly took the time to chat with us. He was just so “real” and listening to him talk about his experiences made you believe in the impossible. Then, I read Dean’s book, Ultramarathon Man. After that I decided I really didn’t have a good reason not to try running. My goal was just one race to prove to myself that I could do it. That one race was the Grape Stomp Half Marathon. Little did I know that seemingly simple decision would change my life. Years and many miles later I can’t imagine not running. What is your favorite race and race distance? My favorite race distance is kind of a toss up between a 10k and a half marathon. With that said, after this fall my favorite distance may be 31 miles and beyond! What is your race day routine? My race day routine has varied little over the past few years. The pre-race dinner is pasta. It’s the only time I eat pasta and I enjoy it thoroughly. Race morning I stick with my everyday routine of up at my usual 4:00 a.m., coffee and computer time. Then specifically because it’s race day breakfast is a whole wheat bagel with almond butter and a banana. I get dressed in everything except my running shoes and leave for the race. 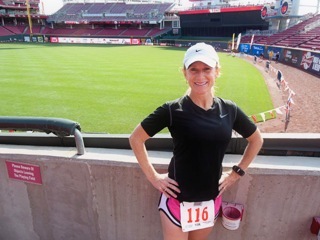 At the race I put on my running shoes, bib and timing chip. Before the start I warm up for 15-20 minutes, kiss my husband, line up for the start, turn on my Garmin and get butterflies in my stomach. My routine gives me comfort and I stick to it as closely as possible for every race. What is your most favorite piece of running gear? Aside from the can’t-run-without-gear like shoes (Saucony) and running clothes (Nike and Lululemon are my favorites) my favorite running gear is my Garmin. I’m a data person and I use the numbers the Garmin provides to improve and motivate my running. Do you follow any diet or take any specific supplements that complement your running? I follow a vegan diet and have never felt better. You can read about my personal experience here at Benefits of a Plant-Based Diet. I take a few supplements daily (i.e. multivitamin, calcium, Vitamin D, etc.) but what I see as specifically for running is taking Spirulina Energy Bits or powder daily. What do you wish you’d known when you first started running? The importance and benefits of consistent cross training and speed work. I've implemented both consistently for almost 2 years and haven’t had any major injuries and have experienced more success and improvement than ever before. I also wish I would have realized the food-to-performance connection. It’s not just about getting enough calories to fuel a run. Quality calories make all the difference. What is your fondest running memory? There are many! Crossing the finish line for the first time, running my first ultra, every time I set a new PR, running Hawthorn Half Day Relay with my husband, the first time I placed in a race are all favorite I-will-never-forget running memories. But, my all time favorite memory is the day I truly appreciated the feeling of how running makes me feel like I can do anything. Running has given me the gift of a self-confidence that I have never had before. What is one thing that most people do not know about you? Moat people don’t know (and would probably be shocked) that there was a time when I had purple hair and wore nothing but black. Thinking about it now makes me laugh. Before I go I want to invite everyone to link up with Fitness Friday. Every week I blog a link up post for sharing your health and fitness related blog posts. Through linking up I've made new friends, introduced my blog to new readers, learned new things and found an amazing resource of support and encouragement. You can find the details here for Fitness Friday and to see how it all works and comes together check out Fitness Friday || Test Your Limits. Run Beyond aMarathon. Here are all the different ways you can connect with Jill! Thanks so much for sharing with us Jill!!! QOTD: What did you do this weekend?